What? A Wordsmith Competition on Earwigoagin! I'm not a wordsmith sort of guy, never have been (crossword puzzles are not my thing). But I have noticed that wordsmithing attracts lots of attention in the bloggosphere. When blogger 'Sweet Bluesette'; put up a post titled Syzygy (a straight line between two celestial bodies), the excitement among certain bloggers in the discovery of this word was almost palpable; the post garnered 17 comments. So have at it, boat names real, or imagined using the format, Seven Letters with Four Vowels. No real prize, just a tip of the hat to the authors wit, wordly knowledge, and intellectual prowess in wordsmithing. Here's one strange sailing video. Two bull riders (boy, that's got to rank as the toughest sport going!) show up at the Baltimore Downtown Sailing Center to do a little winter sailing. And as the cowboys said, good thing they had a Ford F-150 with heated seats because cowboys don't need wetsuits, or drysuits, just a good hat and a trusty tanned leather jacket. I threw a side view of the Bermuda Fitted Dinghy up as a header photo but it took a while for me to get around to posting about the Bermuda Fitted Dinghy. Here is a beautiful shot of a Bermuda Fitted Dinghy storming upwind in full glory. I have posted occasional links to some of the British sailing video shorts (under the name British Pathe', can someone elucidate on this unusual name?) put together, most likely as news reels that they would use to lead into the actual main-attraction movie, common practice circa 1930's and 1940's. 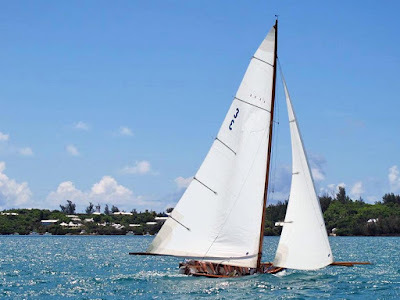 Below is a link to a midwinter sailboat race, sailed on Biscayne Bay, Florida in 1933 while those in the northern U.S (and England) froze their butts off. A Classic Moth appears at about the 45 second mark, almost getting T-boned by a larger sloop at the leeward mark. "Charles Pathé was a Frenchman who was one of the pioneers of the motion picture industry. When I was a boy, one of the companies he founded, Pathé News, used to make newsreels, short films covering current news that were shown in British cinemas. As I recall in those days on your trip to the cinema you would see a main feature, a B-movie (usually starring Ronald Reagan) and a Pathé newsreel. Apparently, at some point more recently, Pathé News changed their name to British Pathé. I gather their main role theses days is in managing the newsreel archives which have been digitized and put online." I've been a kept man the last couple of months. While I joined the ranks of the unemployed, my wife has been the breadwinner to keep us going. She's been remarkably good about it (not all the time, mind you, but most of the time). I don't think she realized when it happened or even realizes it today, as it was presented in another context, but I wrote her a Valentine back in 2011. Wedding Homily - Miles River YC from Tweezer Sailing on Vimeo. I've written about the Australian Historical 10 Footer, where they cram 3 sailors into a ten foot hull with bowsprit and enormous sails. Well, not to be outdone, we have the North American equivalent, the Bermuda Fitted Dinghy, where they cram 6 sailors in a fourteen foot hull with bowsprit and enormous sails. I was able to see one live several years ago, out of her element, sitting on the grass of the Washington Mall as part of Bermuda's display in the Smithsonian Folk Life Festival. It looked to be a rather commodious Classic International 14 with not much in the way of interior. There isn't a centerboard trunk as I gather the keel/centerboard is fitted as the Fitted Dingy is launched (hence the term Fitted Dinghy). There are only six still in racing condition in Bermuda with only four making it out to race on a consistent basis. In poking around on the Internet, it looks like two of the Fitted Dinghies are relatively modern builds, being completed in the last twenty years. One of the odd ducks about Bermuda Fitted Dinghy Racing is they use the racing rules of the late 1800's. A race starts when the crew launches the Fitted Dinghy off a stake boat by pulling on a rope slung over the side of the stake boat. The rule for right of way for boats on opposite tacks heading on a collision course is for both to tack. The following three videos give a great feel for what it's like to sail on these amazing beasts. On this video, at the 2:36 mark, they take the spinnaker pole down, and throw it in the water so the trailing boat runs over it. That's some racing trick! Also at the finish it sounds like they play the bagpipes when you cross the line! Fitted Dinghy Racing - Teaser from Somers Isle Productions on Vimeo. I did a post two years ago I called Disabled Sailing but that term might not be politically correct; I see that 'Mobility Sailing' may be the more desired description. In any case, over the last two years, the proliferation of sailing videos covering the sailing programs for the disabled has been amazing. This is one sector of the sport that seems to be rapidly expanding and that is solely due to volunteerism. Again, a big tip-of-the-hat for those that design and build the boats and equipment (marine metalworker Derek Dudinsky. is someone I know personally), fund raise, organize, do race committee, teach, crew and in any way contribute to ensure the joys of sailing remain open to all. Sailing Paralympic Profile 1 from Reels for Good on Vimeo. Oh! The Travesty of it all! Good friend Bob, (see The Models of Bob, or Bob's Bolger Chebacco) was back up north from his retirement in Florida with some good news, and some bad news. First, Bob had sold his house in Baltimore; good news in a still sluggish real estate market. When he had first moved into that house, Bob had built a glorious stand-alone three bay garage with a nice loft....just the ticket for boatbuilding. Over the years, out of that building, Bob built a Chesapeake 20, a Bolger Light Schooner, an ACA sailing canoe, restored a Penguin, restored a paddling canoe and completed other boatbuilding projects that memory escapes me now. There was a nice sign hung above one of the bays, "Bob's Boathouse" (which caused problems with a cantankerous neighbor who claimed Bob was running a professional business out of this building!). 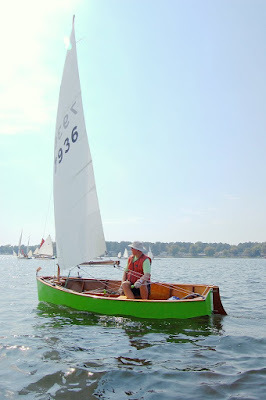 Bob sailing his restored Penguin at a MASCF in St. Michaels. The Penguin was refinished in his "Boathouse". Now the bad news. 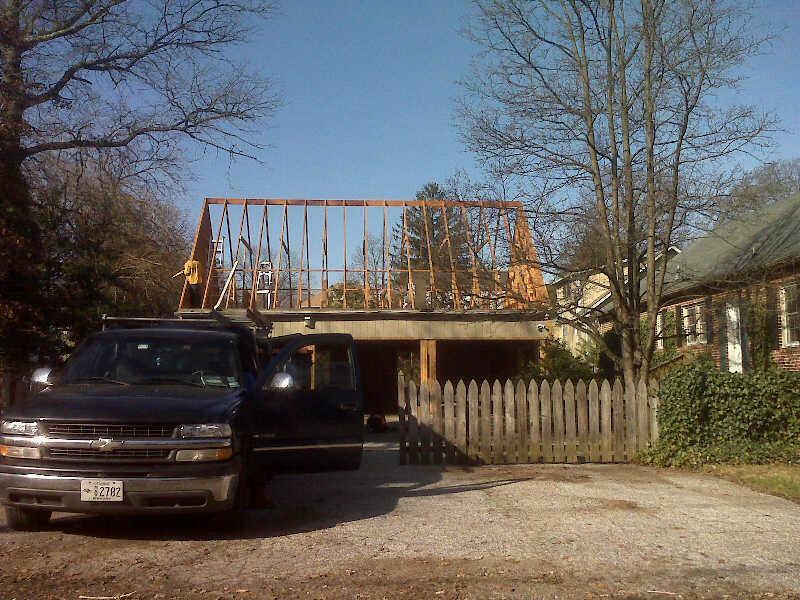 As soon as the new owner moved into Bob's Baltimore house, he dismantled "Bob's Boathouse"! Most of Bob's friends, who are tinkerers in some shape or fashion, were dumbfounded. 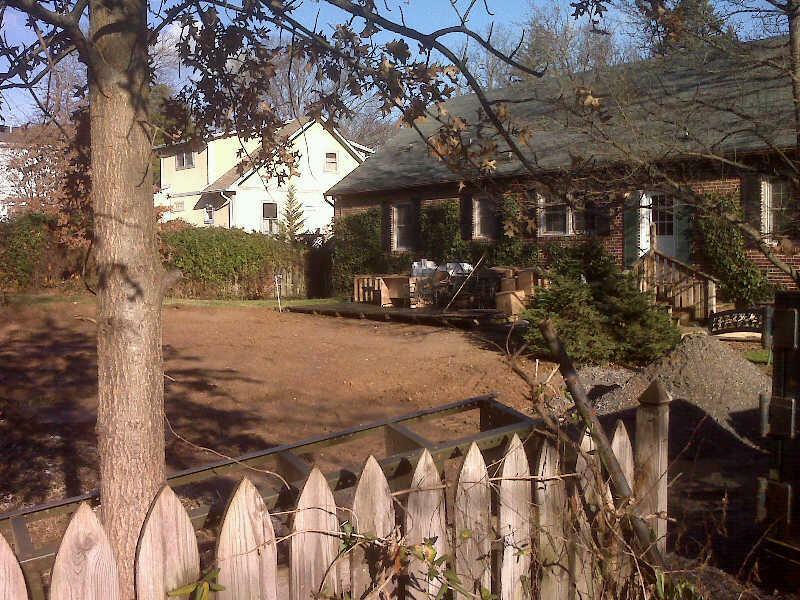 What was the logic in leveling a beautiful three car garage! But it happened. Did you say, "Thinking outside the box?" "Thinking outside the box" is a much overused term, but applicable in the case of this French singlehander, David Raison, who glommed on a bulbous, scow type bow to his Mini Transat 6.5 design and then proceeded to dust the competition in a 3100 mile race from Madiera to Salvador de Bahia, Brazil. The course was mostly reaching, which always favors a hull shape like this, but you've got to give David a huge thumbs up. It's always enjoyable watching a novice designer, with the courage of his convictions, show up all those big yacht design firms. I don't know where Tillerman comes up with this stuff but he has thrown down the gauntlet to define sailing in two core principles, from which, everything else about sailing is derived. You will get WET!..... Not wet like in a shower wet, or a pool wet, but; usually a very, very cold wet, or a wet that will keep enveloping you like someone doing a cannonball in your face over and over again, or an icky baywater wet, or a saltwater wet that will leave you caked in crystals. And you will GO SLOW!......No! you will never get to the Eastern shore in an hour, how about a good day if you're lucky, and sometimes, if you are forced to race, it may take you 3 hours to go two and half miles ...you could walk faster!.... (and there are those days you might not do even that speed). And, if you LOVE SAILING, 1 and 2 are ALL GOOD! And if you think 1 or 2 are ridiculous you will make sure everybody onboard will know how painful and/or boring this sport of sailing is. All, this I have learned from my good wife from all these years (actually she taught me this very early on when we were still dating). 1) Winter will be too short to properly maintain your wooden boat. 2) Summer will be too short to sail it fully enough."